Since Fatjon Antoni came into world in 1991, to be more precise June 9th, the forward is even aged with Larissa's average player. Fatjon Antoni was used in 24 of the matches in the present term. In terms of preferred feet, he is a right footer, like 50% of Larissa. 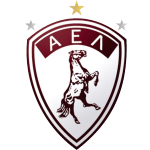 The club of Fatjon Antoni, Larissa, presently holds tenth position in Super League (Greece) and second position in group Gr. 8 of Greece Cup (Greece). In July 2016, Albanian forward Fatjon Antoni joined Larissa (Greece), whom he is still playing for. With a height of 1.86m, he exceeds Larissa's mean tallness by 2. His best season was Football League 14/15 (Greece), because in this year he had his highest success in terms of goals. Throughout his time as professional football player, Fatjon Antoni was sanctioned with a card 96 times resulting in a mean value of 7.38 cards per play time. This season he was given 14 yellow cards. On the whole, he joined the pitch ten times and left it 29 times after the start of the match. In the present term, he played less games until end. Two years and 10 months was the maximum period he ever played in a team, which is his latest one. 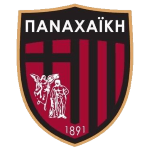 Apart from Fatjon Antoni, Gertin Hoxhalli, Marko Nunic, Evangelos Nousios, Milos Deletic, Dimitris Pinakas, Evgeniy Shikavka, Radomir Milosavljevic, Nikola Jakimovski and Petar Kunic are also forwards of Larissa. In the recent term, he managed to find the net five times and provided not once additional assists which accounts for 12.5% of Larissa's goals in Greece Cup 18/19 (Greece). He scored an average of 0.2 goals and provided 0 assists per game so far, marking a improved performance when compared to last season, when he had 0.1 strikes and 0 assists per match. Larissa's number 64 is Fatjon Antoni. Throughout his professional career, he participated in 212 games, the last appearance being eight days ago. Considering he weighs around 163.14lb, Fatjon Antoni is approximately 5lb lighter than the average player of Larissa. 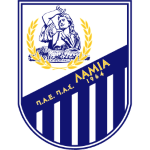 The briefest time his spent on a team counts nine months in Lamia (Greece). Concerning the latest matches, his club won in Super League plus lost in Greece Cup. 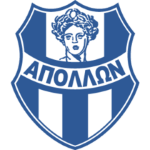 Fatjon Antoni was contracted to a few clubs during his professional career, one of them being GS Apollon Smyrnis, for whom he played before coming to Greece.